Centrally located between Logan and Ogden in Tremonton, Utah. We typically schedule appointments as soon as we can, usually a few days out, We do our best to leave times available for the last minute type jobs as well, but these do fill up fast. If it is a job that someone else is better suited for or that requires a specific license we will not waste your time and will refer you to that profession or company directly. General repairs and maintenance tasks that are going to take you too much time or need tools that you don’t want to purchase or learn how to use for just one job. Need to update your home in stages so that it is more affordable? We have worked with many people that need work done in small tasks with a larger plan in mind, with amazing results when it is all done. Brian’s Pro Handyman is your one call solution for all of your home or office needs! No matter if you need to repair your home’s drywall or your office lighting, our handyman professionals can help. The painting in the areas that are getting the most traffic, or we can repair your plumbing and upgrade your electrical fixtures to save you money on your energy bill. Need the worn out faucets, door fixtures, and the other maintenance tasks that you need replaced or repaired? Give us a call. Specializing in your maintenance and repair needs, from lighting, water leaks, and sheetrock repair with painting. We also can build custom shelves for your garage or pantry or do the minor carpentry repairs. We are licensed, maintain liability insurance and have a background check done every other year. In Utah all licensed contractors are listed in a public database run by the State of Utah. 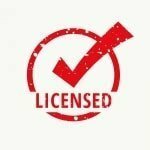 To check if your handyman or contractor is licensed and that their license is valid is to check here. I have found that entering their first name and last name is more effective than trying to enter their business name. Professional handymen are general fix-it specialists who use problem-solving and technical skills to solve household maintenance problems. We complete tasks that are more complex than the typical homeowners skills allow. Our skills include the general knowledge needed to repair most tasks around a home or an office. These skills require technical knowledge across a wide range of skills, from electrical to plumbing, and carpentry. We also have the knowledge to know when a licensed Plumber or an Electrician is the better option for you. Handymen most commonly are asked to perform many different tasks and typically can perform these tasks during the same visit. Most often the handyman will meet with the client and discover what needs to be done. 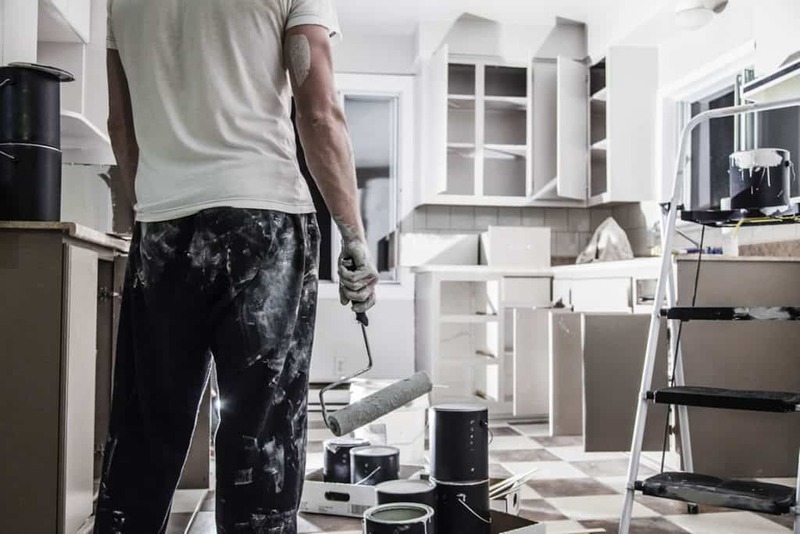 A handyman then discusses the options in which the task can be achieved, taking into account the budget needs of the client and the best way to complete the project. A handyman will then create an estimate or a bid with a timeframe to complete the project. Home or Office maintenance is a major duty for professional handymen. The tasks required to complete the client’s project may force the handyman to crawl into cramped places, work in confined spaces or be outside in inclement weather. In addition, most projects are complex and require the use of specialized tools or procedures. A Handyman needs a wide range of skills and mechanical ability along with more tools that a specialist needs, Typical jobs include installing pet doors, appliances, light fixtures, electrical switches and worn out outlets, Faucets, sinks and replacement toilets along with that new gazebo or patio set from the wholesale club. Most handymen usually do not need specialized training or education for employment or private practice. However, complex tasks may require the use of specialized tools, specialized experience and training. This is where being a professional handyman comes into play. Skills such as electrical work, plumbing repairs, laying tile, carpentry or drywall installation each require specialized tools and training. The State of Utah requires a handyman to become licensed for any job including supplies or materials and labor over $1000. Being licensed can afford a professional handyman additional professional credibility and allows us here in Utah to have larger jobs up to $3000. Licensing also requires a licensed Handyman to have liability insurance, this protects the property owner. Utah does not require any insurance for the unlicensed handyman. This is a major liability risk for the property owner, with any possible damages caused by workers on the property falling to the owner to recover. ***** Best service in Town! Everything I need is done promptly and professionally. I had a whole house remodel and they got it done in the time frame that I needed. Would Definitly recommend using them for all of your home needs. Brian’s Pro Handyman Service. Did an awesome job! He fixed my dryer, replaced parts and had it working in around 30 minutes. Also he came out and fixed a water line that was cut during some remodeling, and replaced and repaired several water lines in my basement that were rusted. And replaced several faucets that were leaking or just too old, or had been plugged from the rust. I will definitely use Brian’s Pro Handyman Service next time…. Thanks Brian. ***** Great Job at a good price! I would highly recommend him. I look forward to using him for other projects. He kept me informed and was great to work with. Brian did an amazing job when I had just had hip replacement and really wanted my tv mounted on my bedroom wall. He was quick, efficient, and did an amazing job. Now there is a bigger tv hanging up there than what he initially did & it’s still going strong. I would definitely recommend Brian for and your honey-do lists. We specialize in the maintenance and repair of your home and office!